The most magical part of the coast is of course, the ever changing, ever moving sea. It is easy to get lost in it's meditative rhythm. 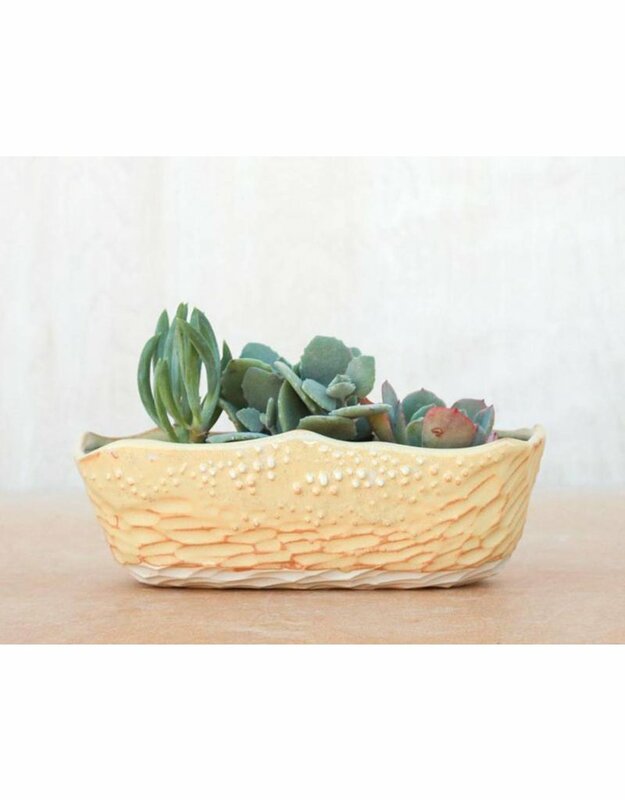 This planter's pattern is inspired from those movements. Simple, yet delightfully detailed by hand, this guy is perfect for your favorite succulent. Drainage hole added to keep roots well drained. Shape has been designed with sunny windowsills in mind! 9.5" long x 4" wide x 2.75" tall approx.